A BBC Wales documentary exploring autism through the eyes of Welsh actor Richard Mylan and his 11 year-old son, who is on the autism spectrum. Jaco Mylan is like any other 11-year-old boy. He loves rugby, dancing and washing machines. Jaco also has autism. 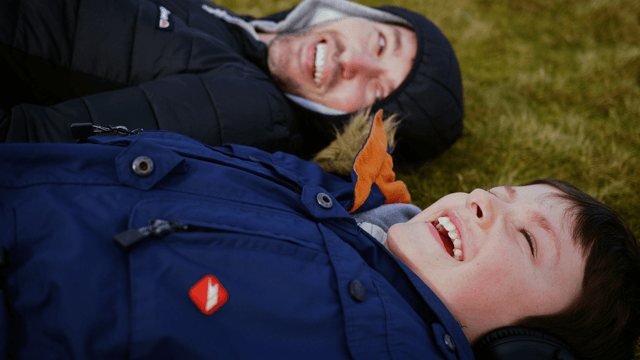 In this intimate documentary, Welsh actor Richard Mylan reflects on his experience of raising a son on the autistic spectrum. Like all parents, Richard wants Jaco to be happy and independent, but he’s well aware that having a child with special needs means you have to plan further into the future. Will Jaco be able to get a job? Where will he live? How much support will he need? Through spending time with adults on the autistic spectrum, Richard comes across funny, surprising and inspiring individuals who have their own unique take on living with this lifelong condition. Shortlisted for Best Single Documentary at the prestigious Celtic Media Festival 2018.